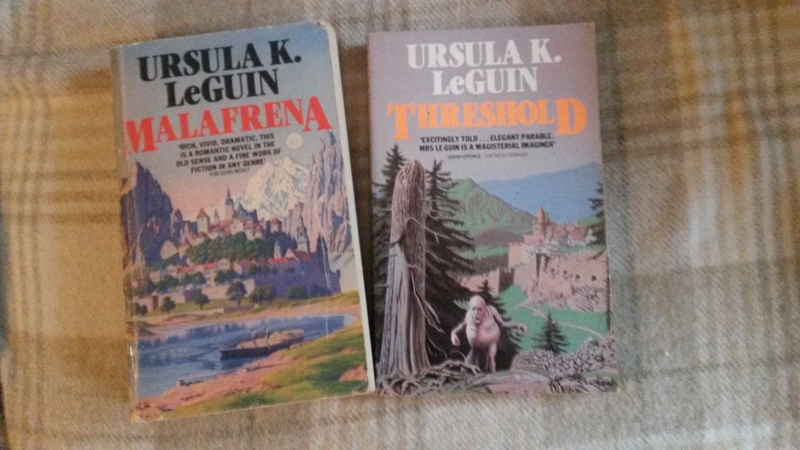 I was surprised to come across two novels by Ursula K. Le Guin which I’ve never even heard of before. She’s one of my favourite writers so I’m not sure how this happened. Malafrena (1979) appears to be a historical fantasy, while Threshold(1980) (also published as The Beginning Place) is a straight up YA fantasy novel. I suspect that these are not her best works and come from a period of her career when she was still trying out different things, but I’m looking forward to reading them anyway. My girlfriend did well too. 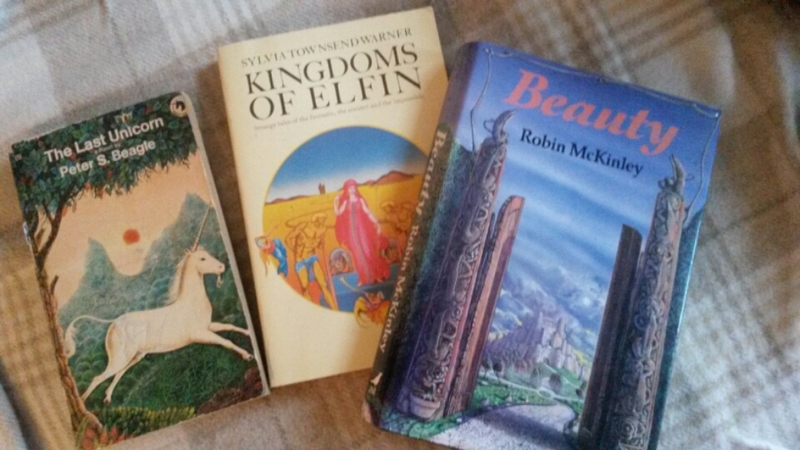 She found a copy of Peter S. Beagle’s massively influential fantasy The Last Unicorn (1968), which she’s been wanting for ages, and a lovely first edition of Robin Mckinnley’s Beauty (1978). She also got a copy of Sylvia Townsend Warner’s last published work, Kingdoms of Elfin (1977), a collection of satirical fantasy stories. 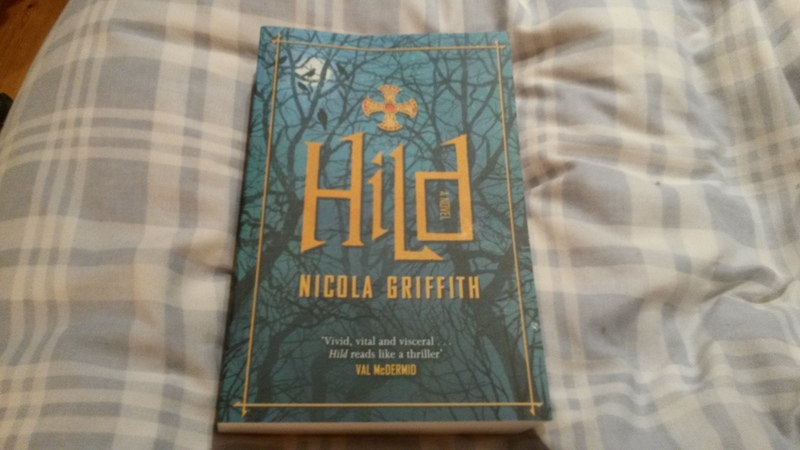 I received one book for Christmas and I’m very pleased because it’s Hild by Nicola Griffith. I loved Ammonite and everyone’s been raving about Hild since it was published in 2013. It looks like an excellent book for the cold, dark evenings and at 560 pages I think it’ll get me through January and February. Posted on January 1, 2015 by Scrum_Jet. 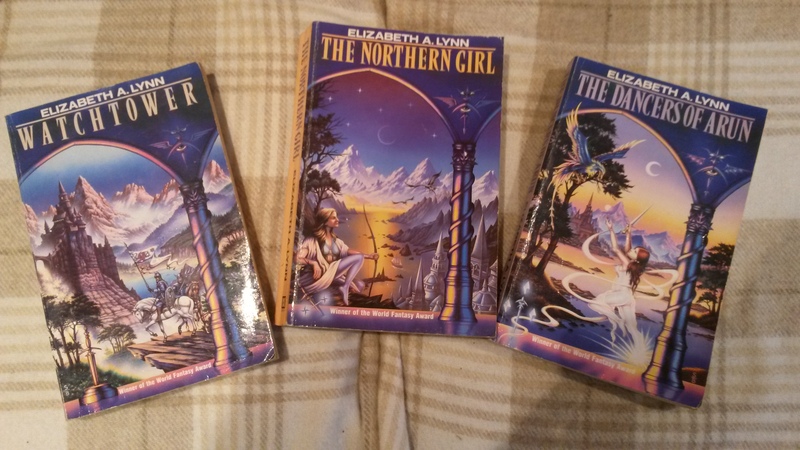 This entry was posted in LGBT Literature, LITERATURE, Short Stories, Women's Writing and tagged elizabeth a lynn, fantasy, fantasy by women, lesbian literature, nicola griffith, ursula k le guin. Bookmark the permalink.